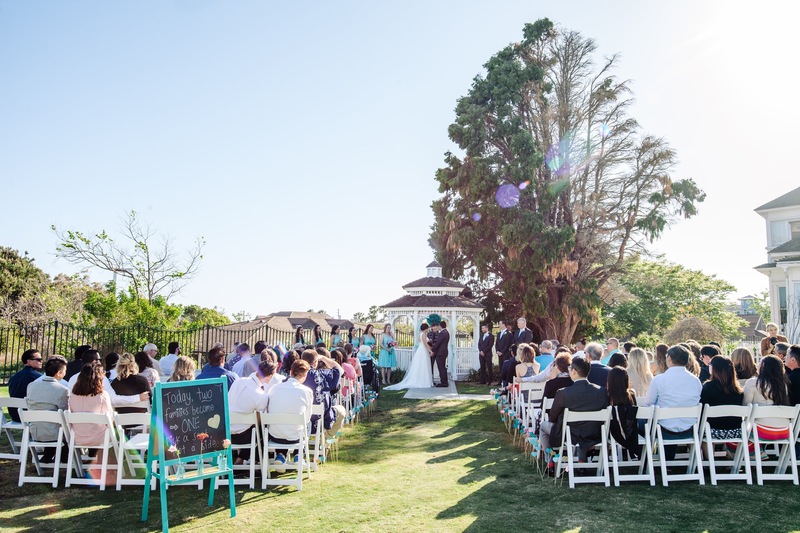 Ashley and Brad tied the knot in April at the beautiful Newland Barn in Huntington Beach, California. They celebrated their love in a colorful and whimsical DIY wedding with turquoise and glittery gold with pops of pink for the color palette. 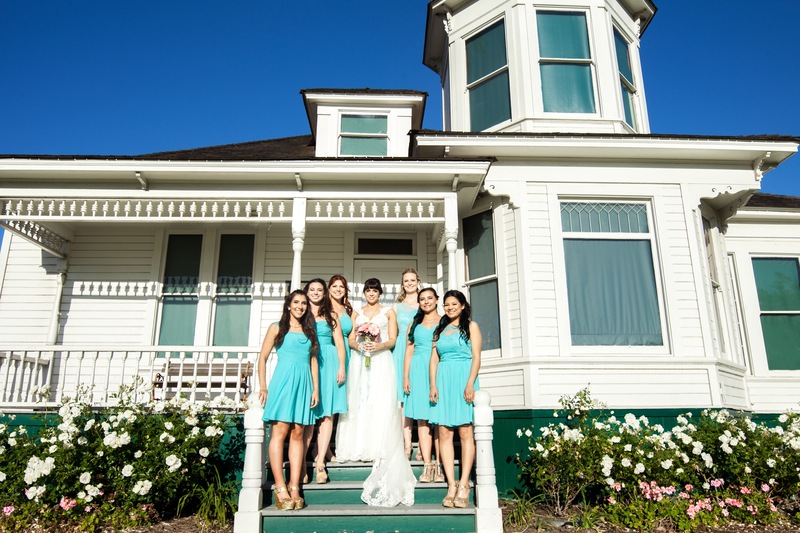 Ashley’s bridesmaids were dazzling in our Victoria, Mikaela, Betsy, Siena, Heloise and Kaiya dresses in spa. All the photos are courtesy of Photograph by Ben and Kadin. Q: Why did you choose this place to get married? Q: What’s the story behind this color scheme? 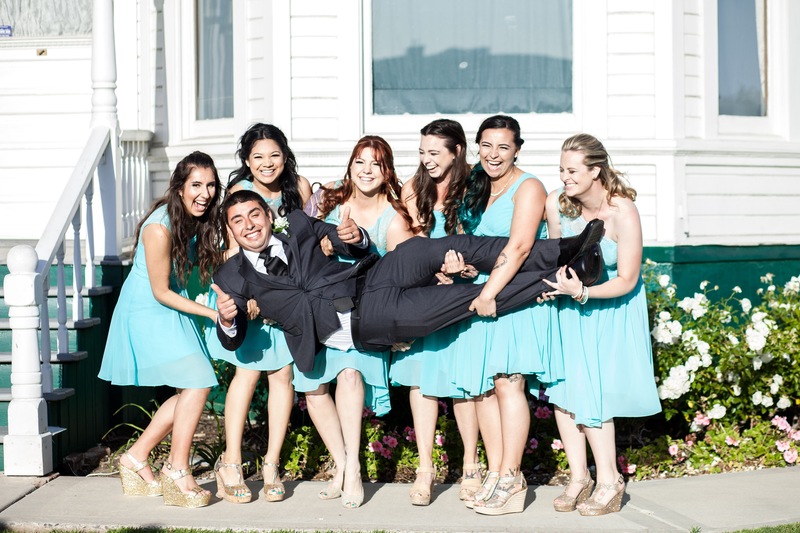 Q: Why did you pick Azazie for your bridesmaids? Q: Did you enjoy the wedding planning process? Why or why not? Q: How did you find Azazie? 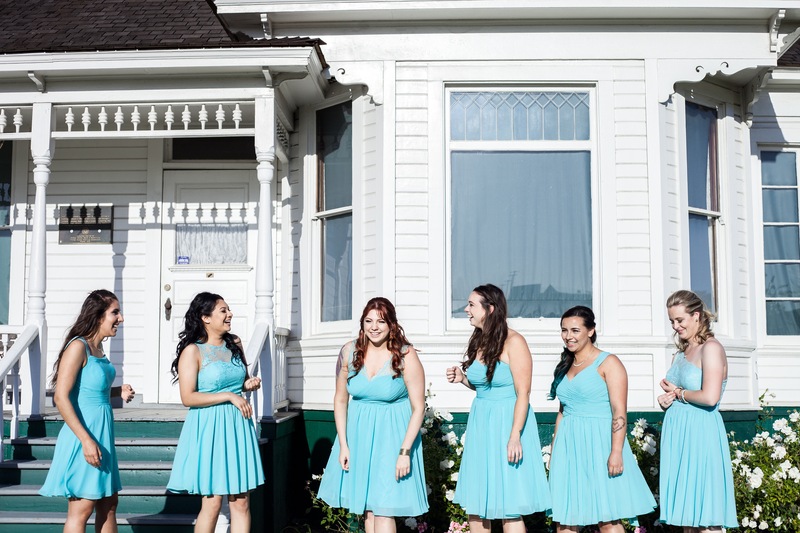 « 15 New Bridesmaid Dress Styles are coming soon!